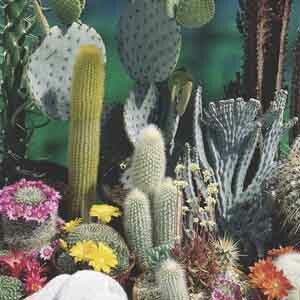 Cacti are perfect for bringing the warmth, color and texture of plants indoors with a minimum of attention needed. They can often go for weeks on a single watering and regular supply of bright light. Mix a variety of the different shapes such as barrel, rosette, spike and paddle for an interesting and stress-free display. Makes a nice windowsill plant. Perfect for all kinds of containers. May be displayed outdoors in warmer weather. Apply a balanced liquid fertilizer when plant is in active growth. Does best in light, well-drained soil. Allow soil to dry between thorough waterings. Apply a balanced liquid fertilizer monthly during active growth.